Microsoft has released Windows 8 with a number of changes. The recently released Windows 8 CP includes over 100,000 changes compared to the previous version. The first thing you will notice in Windows 8 is the inclusion of new Start screen and the missing old Start menu. 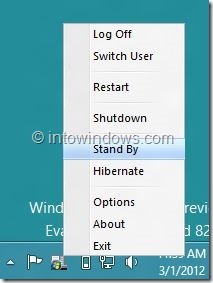 Microsoft has removed the Start orb or Start button and the Start menu from Windows 8. The new Metro Start screen serves as the replacement for the good old Start menu. In Windows 8, pressing the Windows logo key on the keyboard reveals the Metro Start screen. Though the new Start screen is pretty good, most Windows users are not happy with it. Even the old registry workaround to enable the Start menu in Windows 8 doesn’t work in the latest build. So, you have no options to but to use third-party utilities to get back the Start button and Start menu in Windows 8. ViStart is a tiny program to get back the Start menu feature in Windows 8. 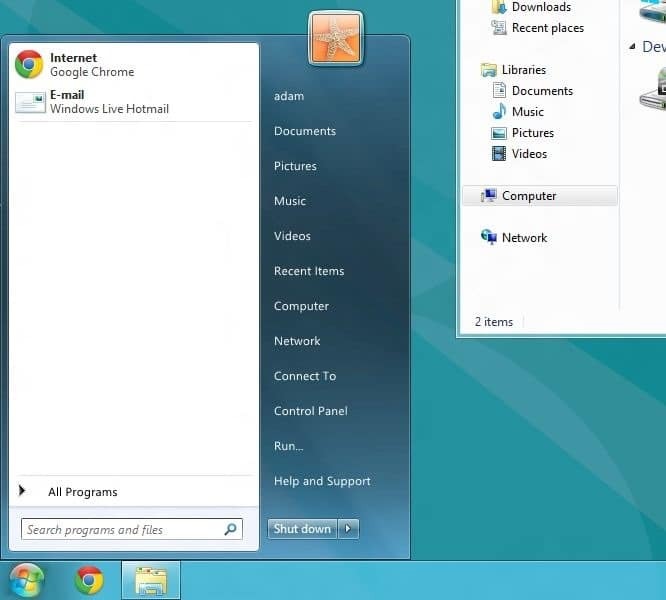 The program adds Windows 7 style Start menu and Start orb to Windows 8 taskbar. And the best part is that you can open the Start menu just by pressing Windows logo key. Once installed, a tiny icon of the program sits in the notification area and gives you access to ViStart options. 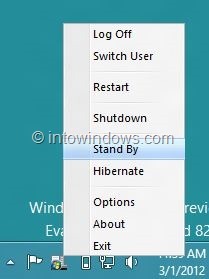 You can access Log Off, Switch User, Restart, Shutdown, Stand By, and Hibernate by right-clicking on ViStart’s notification area icon. Users who are missing the old Start menu in Windows 8 should check out this program. Please note that the ViStart setup tries to install Babylon toolbar or IncrediBar and Registry Cleaner Pro software during the product installation. If you are not interested in the toolbar, uncheck install Babylon toolbar option before moving to the next step. When you see the Registry Cleaner Pro screen, simply click decline button to install ViStart without Registry Cleaner. Update: ViStart has been updated and it now fully supports Windows 8.